Quinta dos Murças Reserva Red 2012 received 94 points and was considered Editors’ Choice, a classification granted to wines of outstanding quality, by the North American publication Wine Enthusiast. This is the third consecutive vintage of Quinta dos Murças Reserva Red to receive 94 points by this magazine. 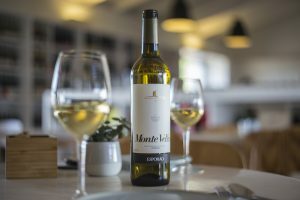 Roger Voss, this magazine’s critic for Portuguese wines, granted 94 points to Quinta dos Murças Reserva 2012, the same score given to the 2010 and 2011vintages, and highlights the wine’s structure and richness: “Now, when it is exactly at its best, this wine is impressive, rich and structured. The bold tannins are balanced by the flavours of ripe black plums and berries. This is a dense wine from the high altitude estate Murças, by the producer Esporão”. Originating from old vines at Quinta dos Murças, located at an altitude between 150m and 280m, Quinta dos Murças Reserva Red is the classic version of estate wines where the terroir produces wines that are extremely elegant and have great ageing potential. Aged for 12 months in used French oak barrels and the grapes used to produce this wine are trodden by foot in granite presses.